ICERI2019 will be the perfect platform where experts from around the world will discuss the latest developments in the field of Teaching and learning methodologies, educational projects and innovations, and new technologies applied to Education and Research. This 11th annual edition will bring together over 700 teachers, researchers, professors, scientists and professionals from more than 80 countries all over the world. Come and sign up as sponsor or exhibitor at ICERI2019! Would you like to exhibit your products to more than 700 leading decision-makers, lecturers, researchers and practitioners in the education and innovation sector coming from more than 80 different countries? This event will offer you an excellent opportunity to make your organization and products visible to a large target group of participants representing all continents. Exhibit your products to more than 700 leading decision-makers, lecturers, researchers and practitioners in education and research. Explore international businesses opportunities, getting direct access to international and emerging markets from more than 80 countries. Establish new contacts with leading stakeholders and decision-makers from governmental and academic sectors. Keep updated and gain access to innovative knowledge at the conference sessions and dialogues (the same the participants will attend). Visit Seville, a city where you will find many well-known universities and other possible clients. ICERI2019: a perfect opportunity to give visibility to your product. A special mention in the official Opening Plenary Session. Recognition as Sponsor (with a brief description of the company and logo) in the Printed Final Program. The insertion of your promotional brochure in all conference bags. The opportunity to give 2 oral presentations in a parallel session within the conference programme. The insertion of your organisation logo in the ICERI2019 website, visible in all pages. The insertion of your organization logo and description in the exhibitors section of the conference website. Your company logo on ICERI2019 sponsors roll up banner. Three complimentary conference passes for ICERI2019. Recognition as Exhibitor (with company logo) in the Printed Final Program. The opportunity to give 1 oral presentation in a parallel session within the conference programme. 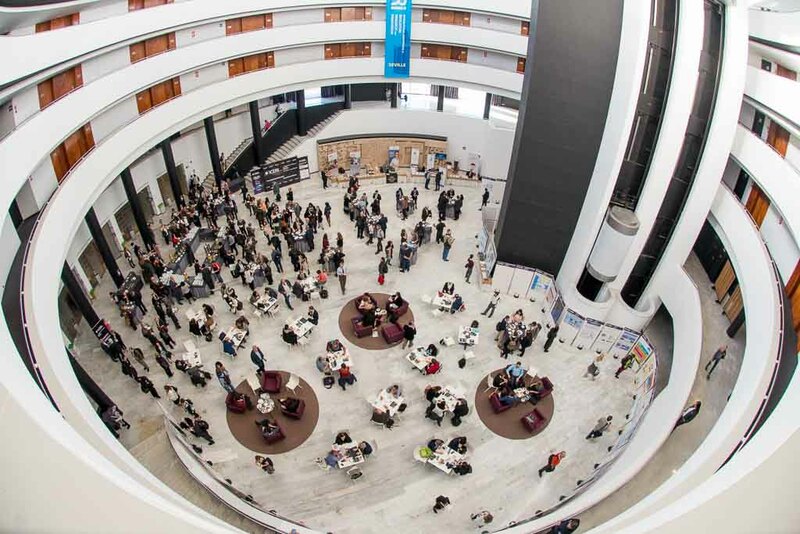 Two complimentary conference passes for ICERI2019. The deadline to book your exhibition/sponsorship in ICERI2019 is October 10th, 2019. Exhibition space is limited and it will be distributed on a first-come, first-served basis so we recommend booking your stand early.